Fall is my favourite Season to craft in so many cute ideas with all the different things that are happening in fall. 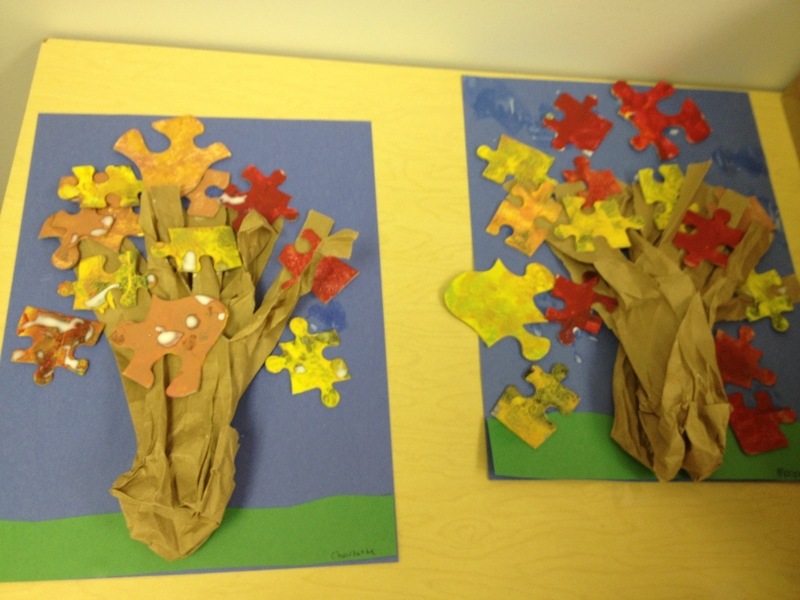 We took some old puzzles and painted them fall colours. Take a paper bag and rip the open part part into little sections and twist them into branches stick it to a blue piece of paper add grass an then let your child take the painted fall color puzzle pieces to make a beautiful fall tree. 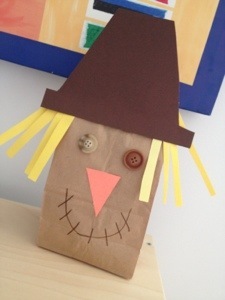 This Scarecrow craft is super adorable and makes great fall decorations. I found glue dots are best for small kids! Mess free and are not a hazard like glue guns ! And stronger hold then white glue. Dollar store now sell them. 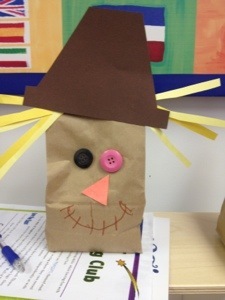 Those scarecrows are SUPER cute! I wondered if you’d be willing to let me link to this post in a fall kids craft round up I’m putting together on my blog (candleinthenight.com). If I could link to it and use one of your pictures, it’d be great! Go for it Jessica! Thanks for reading our blog.